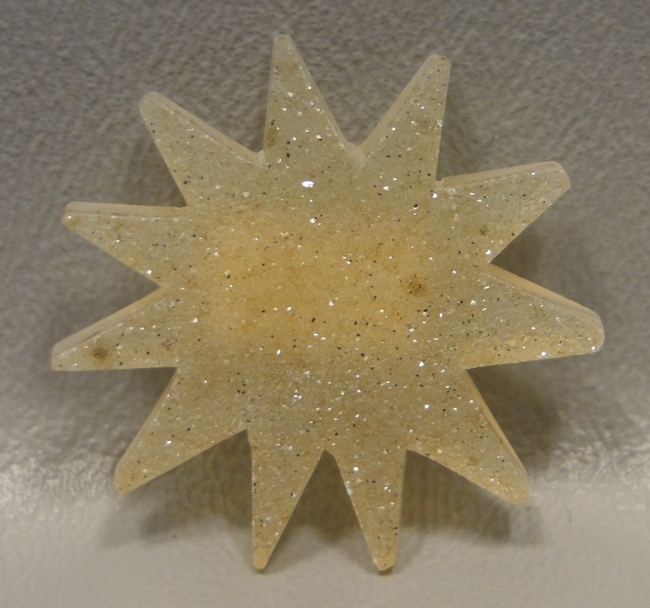 The correct term is actually "Druse" but it is also commonly spelled drusy stone or druzy stone. Though I usually use Drusy, to avoid confusion I will use Druse here. Druse gemstones are semi precious stone cabochons with a natural surface texture of fine quartz crystals that sparkle. 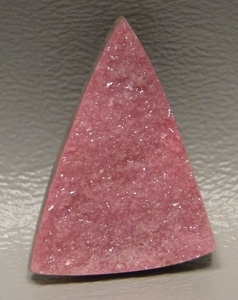 Though lately any designer cabochon with natural tiny crystals on top is called a druse cabochon. Most druse formed in a cavity, for instance many agates are hollow, and in such cases the center may consist of quartz crystals directed towards the free space, forming a crystal-lined cavity, also known as a geode. The druzy stone sometimes reflects the color of the stone beneath. This gives us an array of spectacular textured crystal cabochons in rich colors. 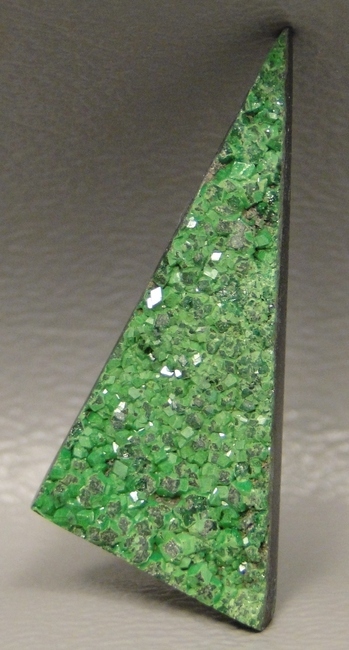 People refer to the variety of druse cabochons: black, blue, green, etc., as druses or crystal gems. The popularity of cutting stones with natural crystals on them into jewelry stone cabochons has blossomed in recent years. Even mineral specimens with crystal surfaces are being cut into designer cabochons for jewelry! In additon some natural druse cabochons are being dyed brillant colors or coated with titanium, or other substances to give them pearl essence, or iridescence. Of course, druse crystal cabochons are more fragile than their smooth, domed surface, counterparts and some care must be taken when setting, cleaning, and wearing these stones. Quartz druse is generally durable as quartz has a hardness of 7, but some minerals may be soft, such as the Cobalto Calcite (pink druse) that is only a 3.5. These druse crystal cabochons are best set in pendants or earrings, and are not really suitable for rings and bracelets. Custom designed jewelry with druse cabochons are best used for dress up, rather than every day wear. Druse cabochons are usually cut into freeforms to save as much of the crystal surface as possible. Making them truly unique designer cabochons!